Surely each player forgot something very important and could not remember. Or are you a beginner who does not know a lot of secrets and features of this game. 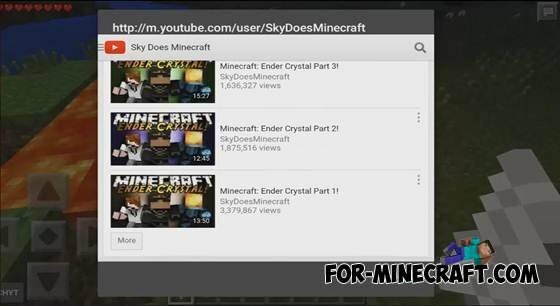 In search of solutions you had to close minecraft and look for what you need in the vast youtube. With this mod you can forget about it. He gives a very interesting feature that greatly facilitates the search. 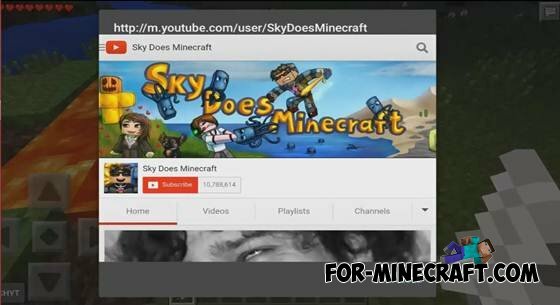 The fact is that now you can go to YouTube without leaving minecraft that will save you time trying to look for diamonds. Now about how to use this wonderful and much needed mod. 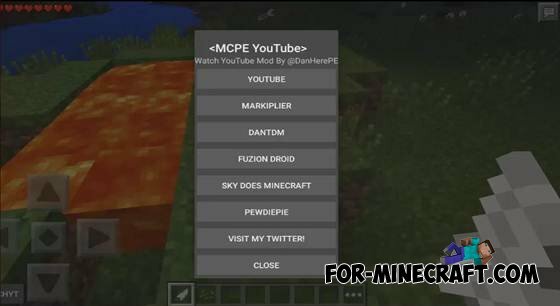 Next you will see a window with the button «YOUTUBE» and the names of the most popular letsplayers. 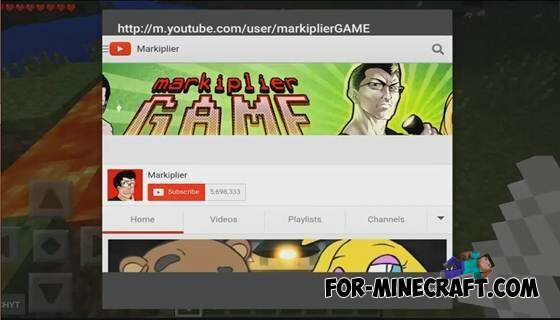 You can choose «YOUTUBE», if you need to find videos or any author, press the button with the name of your favorite letsplayer. 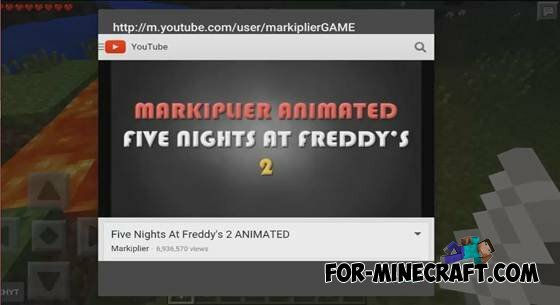 Now you open a window with YouTube, watch videos, and right back into the game !! !